It is the goal of this seminar that having completed it, you will immediately be able to offer more effective treatment or coaching to cyclists or triathletes. This one day seminar will review current bicycle design features and will examine the implications they have on cyclists from a biomechanical and potentially injurious point of view. We will review common positioning errors and the reasons they arise. We then apply this information to clinical scenarios that often result from positioning errors as well as training errors, and seek solutions to the problems we identify. The seminar will include a morning session of theoretical and interactive discussion about seminar topic areas. The afternoon portion will consist mostly of a ‘hands on’ practical session in which you will work in small groups to apply the bike fit process to seminar participants who are selected to bring their bicycles to the seminar. Seminars normally run from 9am to 4 pm unless otherwise indicated. Any health care professional or coach who works with cyclists or triathletes will benefit from attending. If space allows, others may attend. Contact Bike Fit Physio to enquire. All of the above is aimed at improving your confidence and effectiveness in treating and/or coaching triathletes and cyclists. How can I prepare to get the most out of this seminar? 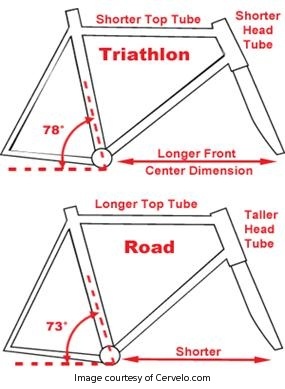 Slowtwitch Bike Fitting Articles: A great big thanks to Dan Empfield for his contributions to the sport of triathlon. His website is pure gold for those who have the time to read and learn from it. His FIST Bike Fit seminars are extremely well done, but understandably are not accessible to everyone who isn’t able to travel to California…don’t despair, Dan generously shares his insights….you can access all of the details about his FIST Bike Fit Seminars on his website….for those of you with more time – enjoy ! Dr. Andy Pruit has contributed a valuable resource for cyclists and health care professionals by creating a practical and useful text Andy Pruitt’s Complete Medical Guide for Cyclists. It’s easy to order online. For those with the time and inclination, I recommend it.